In 2005, Newhouse associate professor Steve Davis assigned students in his reporting and editing class to focus their stories on Syracuse’s South Side, an economically struggling neighborhood just a few blocks west of Syracuse University. Davis didn’t know much about the South Side. He didn’t know what his students would find and didn’t know how they would be received. But the students rose to the challenge, and throughout the semester returned with interesting stories about the South Side and its people. Eventually, they published a special-edition print newspaper and delivered it across campus and in the community. 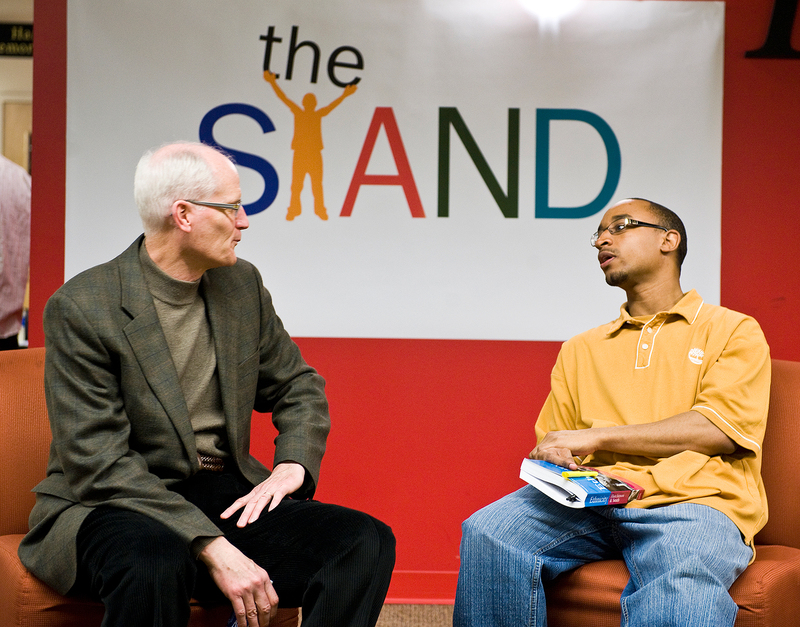 The Stand’s connection to its community has always been important. During its formulation, Davis created a board of directors to serve as a voice for the South Side, contribute story ideas and help find community contributors. Students in newspaper editing classes at the Newhouse School produce The Stand, which is published independently from Syracuse University and is not a registered student organization. The paper is always looking for student and community contributors. Since 2009, The Stand has offered workshops aimed at training and motivating residents to get involved. Popular workshop topics include journalism, poetry and photography. The Stand has also hosted “photo walks,” during which participants receive a photo lesson from a professional and then walk through South Side neighborhoods taking photos. The professionals help them edit the photos and some are published in the print issue of The Stand. Newhouse students also benefit from working on The Stand. “Anything you do where you’re not sure you’re going to succeed and where you’re not comfortable is almost certain to be a good experience,” Davis says.